After the Miracle was founded by two women who are from different backgrounds, have different skills, different personalities, and different stories. But, despite their differences, both women love the Lord, love helping other women in their spiritual journeys, and are best friends. They both have experienced their own adversities and joys in their lives. And, they have found that many good things can come out of bad events, including friendship and a desire to share their life stories to help others. They are excited to share their stories, their perspective, their favorite scriptures, and their lives with you. "Two are better than one, because they have a good return for their work. If one falls down, his friend can help him up. But pity the man who falls and has no one to help him up." 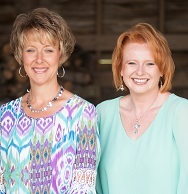 Our Mission is to encourage women to fall in love with their Savior and live the abundant lives that He has for them. Through Bible teaching and sharing stories of how the Lord has worked in our lives, we hope to point other women to Jesus. 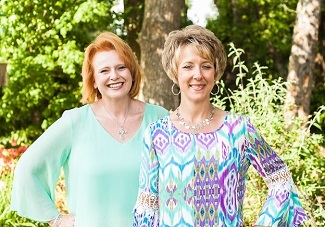 Founded by two friends, After the Miracle, is a ministry founded on the belief that the Lord has given us relationships with others so that we can encourage, sharpen, support, and love each other as we grow in our relationship with Him. Through this site, we will build relationships by sharing stories of struggle, stories of strength, scripture, and experiences with the Lord so that we all may encourage each other in our journeys and so that we may find hope together. About Our Name. In 2008, God performed an amazing miracle that was experienced by both founders. This miracle came after months of agony and through that miracle, we were both reminded that God is all powerful and sovereign. And, we enjoy sharing that story with others (read Isabella's Story below). As we have reflected on the miracle and as we have continued living life since it, we have learned a lot about ourselves, about the Lord, and about helping others. And, this website ministry was formed to share the many lessons and life experiences that both founders have gained since witnessing this miracle. One of the biggest insights that we have gained is that we can and we must use our struggles and hardships to help others. We have received much comfort from God through many situations, including during Isabella's Story, and we desire to share our experiences with you. We hope you enjoy the site and we hope you enjoy our growth and journey after the miracle. Wendy is a pastor's wife and has been in ministry for over 20 years. She is an energetic, loving, compassionate, and Christ-centered woman who has spent many years helping others while in ministry with her husband. In addition to being a beautiful singer, she loves God's Word and teaching other women how to apply it to their daily lives. Her love for life and people are evident upon first meeting her and it doesn't take long for you to feel that you have a great friend in her. She has a deep relationship with the Lord and enjoys sharing scripture, music, and encouragement with those around her. She has been married to her husband for over 22 years and they have two children. Rachel has a Ph.D. in Psychology and has spent many years researching and teaching about topics such as relationships, forgiveness, generosity, & gratitude. After a 15 year career as a college professor of Psychology, the Lord called her into full time ministry as a Bible teacher and women's ministry leader. There is nothing she loves more than opening God's Word with a group of women. She has a passion for life and living it to the fullest with no regrets. She has experienced great pain in her life that has been life changing and has helped give her the vision for this ministry. She loves Jesus with all her heart and loves to lead women to a deep relationship with the Savior she has come to love so much. She has been married to her husband for 17 years and has three children. God can do anything, you know - far more than you could ever imagine or guess or request in your wildest dreams.